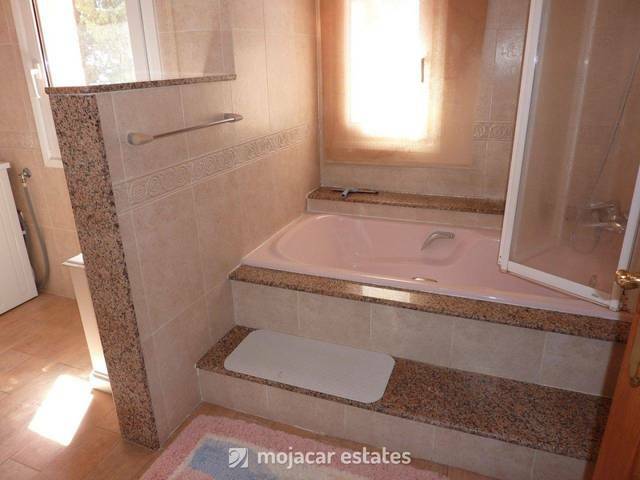 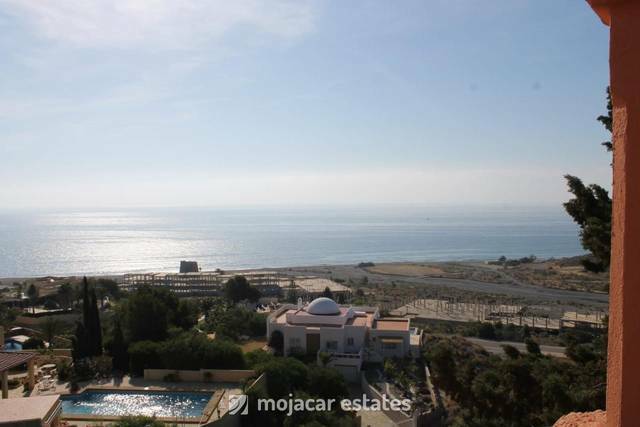 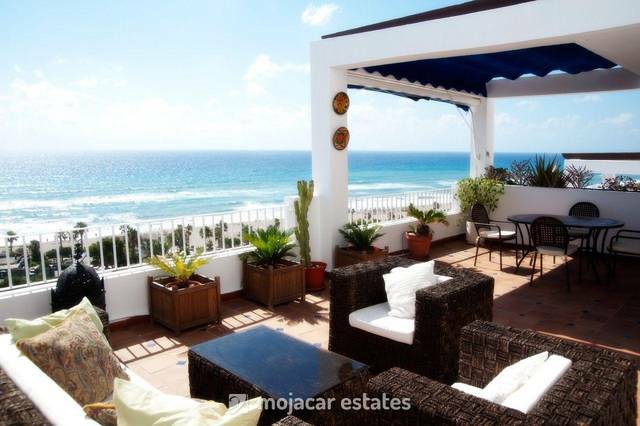 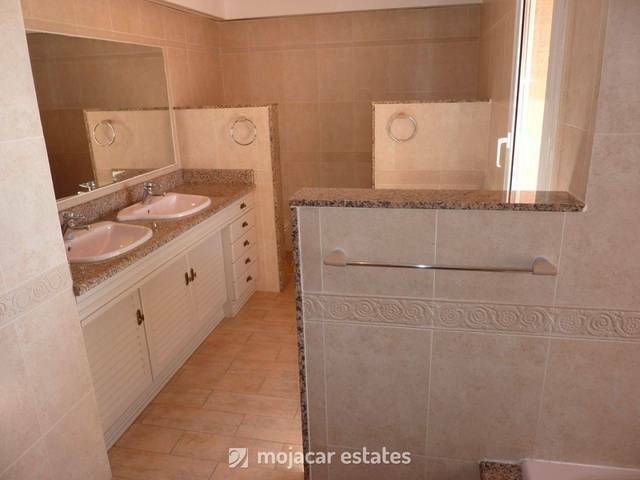 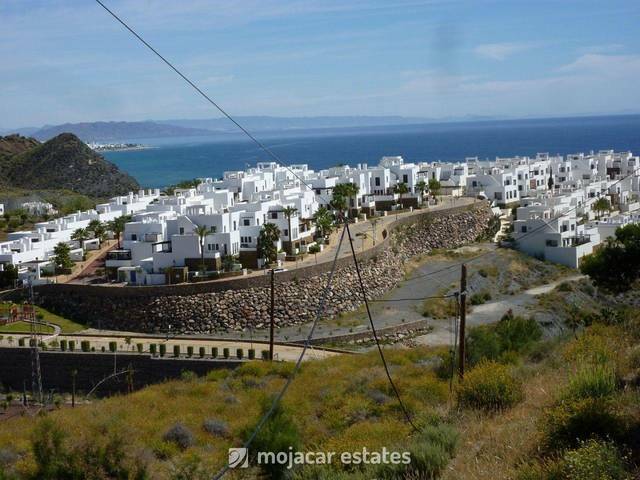 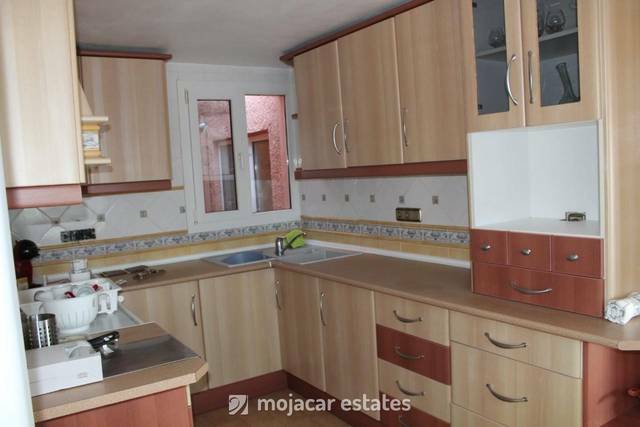 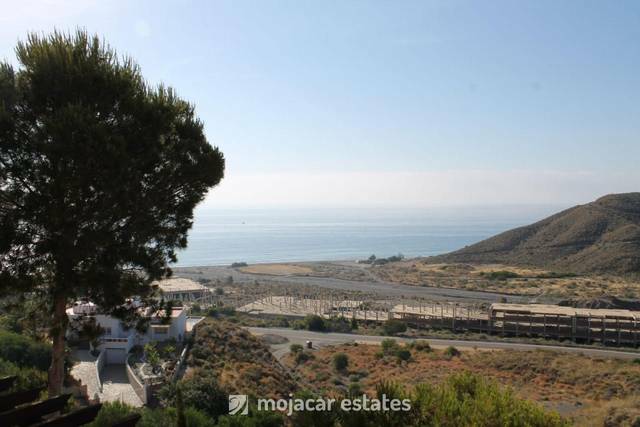 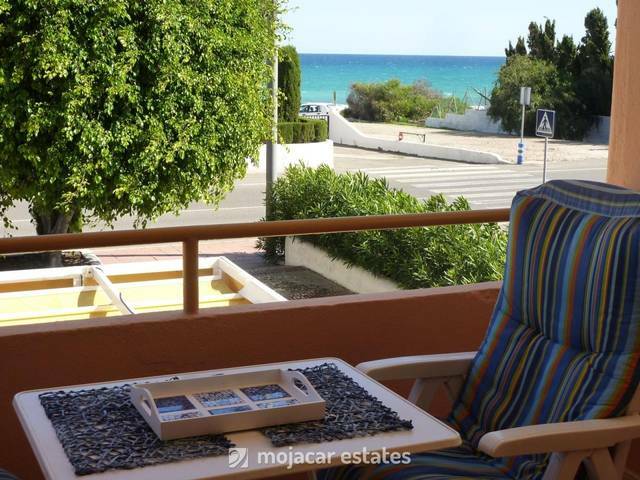 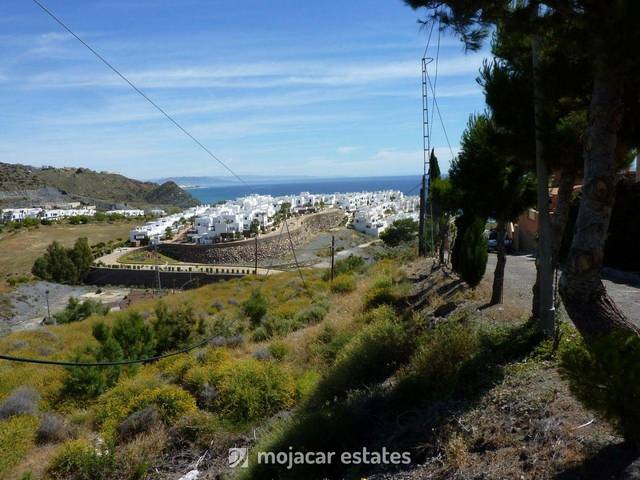 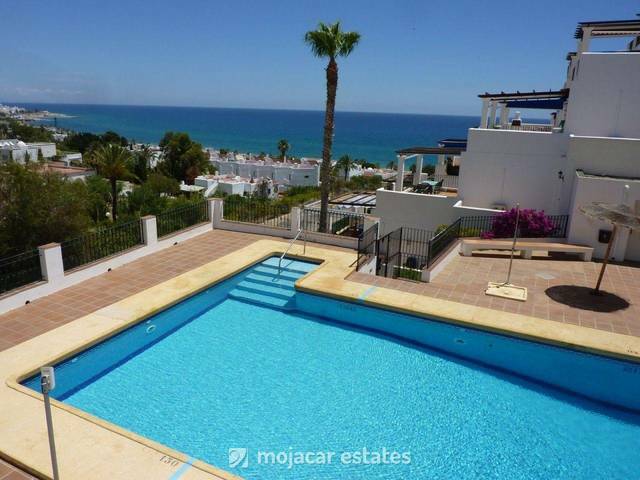 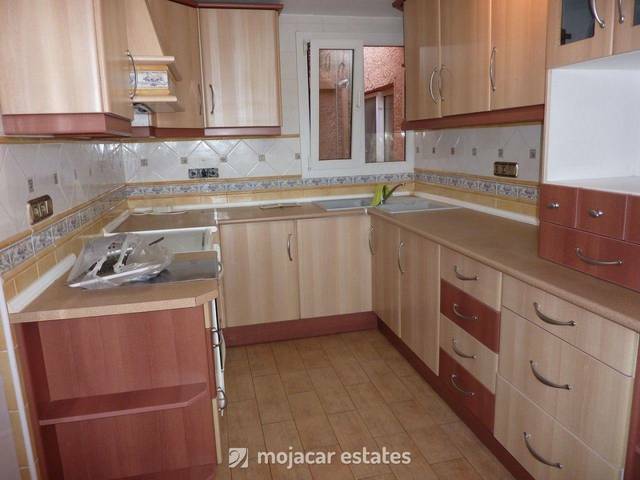 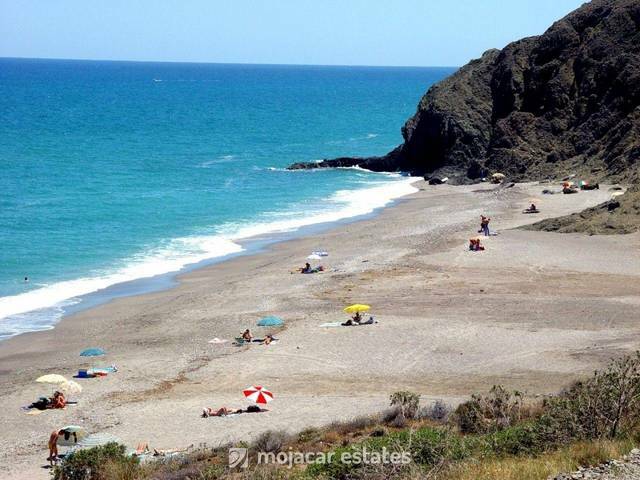 Villa Carolina APT 2 - This apartment shares a private swimming pool with one other property situated at street level and is located in elevated position in Macenas, a short drive from Mojacar Playa. 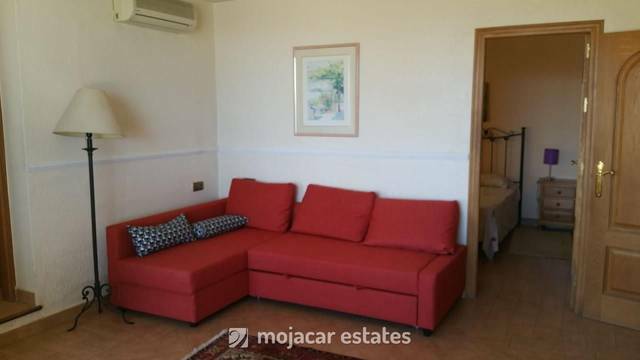 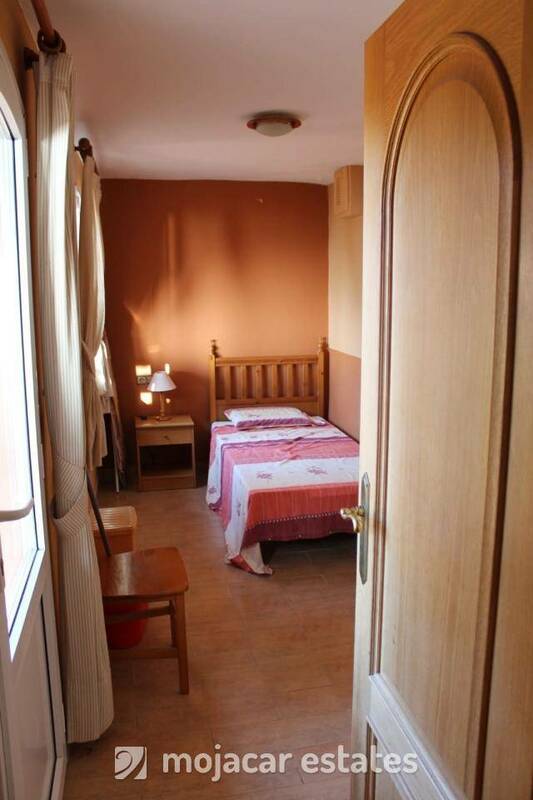 Access is from calle Macenas, you will find a gate next to pool, walk along pool and at the far end you will find a staircase leading down to the lower lever where the apartment is located. 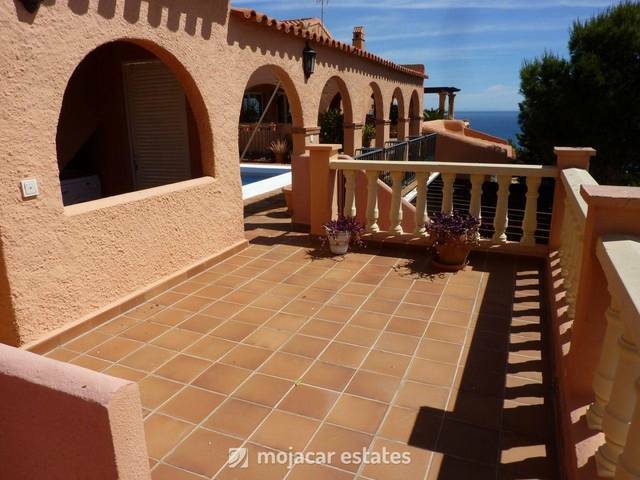 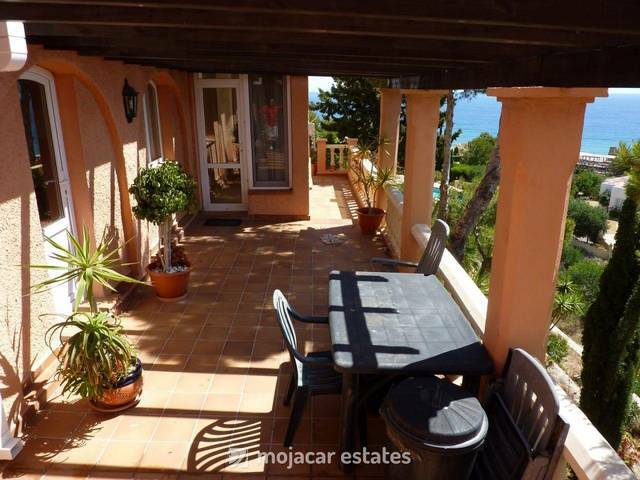 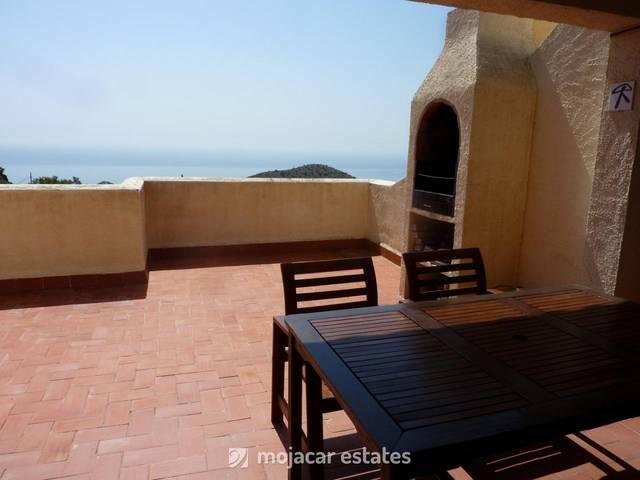 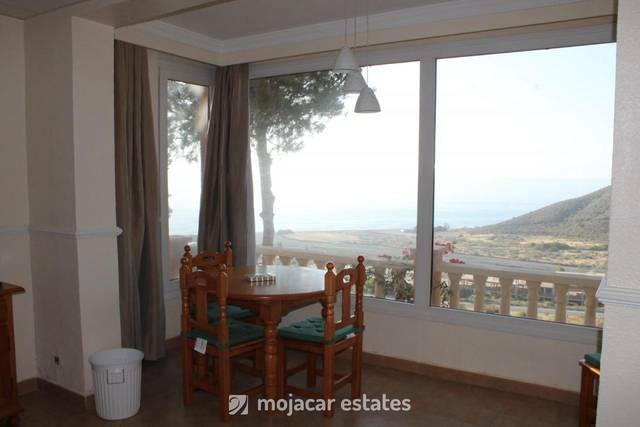 There is a good size terrace with stunning mountain and sea views. 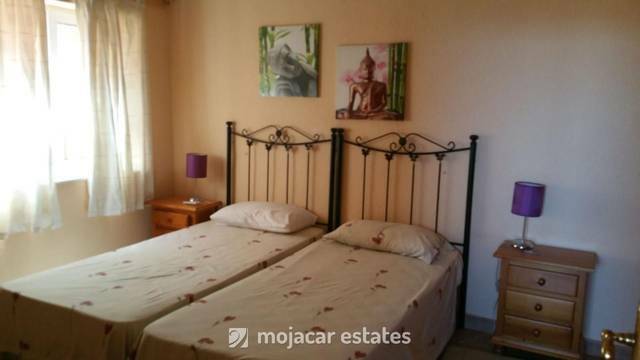 Inside there is a lounge-diner, fully equipped separate kitchen, master bedroom with double bed, 2nd bedroom with single bed and bathroom. 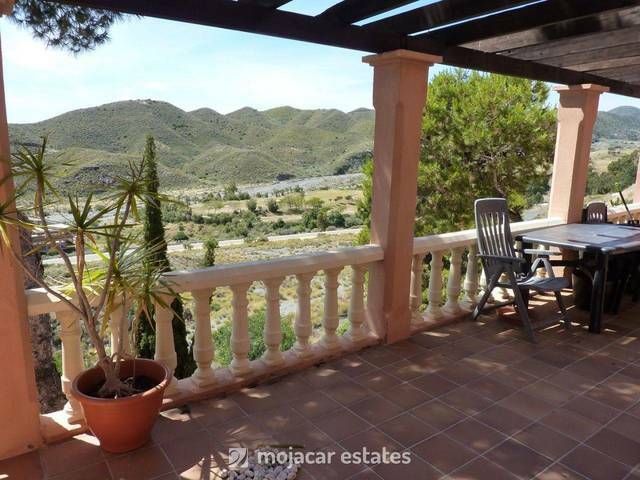 Lovely large terrace with superb views. 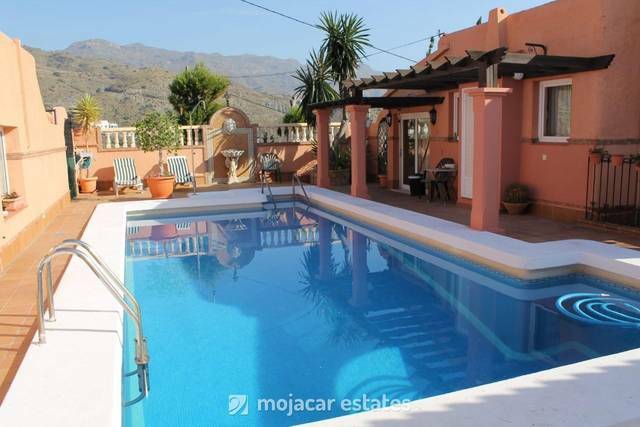 The swimming pool is a few steps up from terrace and is shared with only one other property - the apartment above whis is also available for holiday lets (Reference 1474).